Creating beautiful flower garden designs takes much planning and consideration. You will need to consider the types of flowers and combinations of colors you desire for the garden. In your flower garden you will also need to think about the placement of borders and shrubs as well as seating and ornaments. It is a good idea to choose an overall style for the flower garden and stick with it. When you begin your flower garden designs project, you should make a scale drawing of the design to help visualize your concepts. Decide upon the shape and pattern for your flower garden designs. Rectangular flower garden designs are a traditional shape and always popular. Circular shaped flower gardens add interest to the standard rectangular lawn. Flower gardens planted on a diagonal to the house can make a lawn appear larger than it actually is. 1. 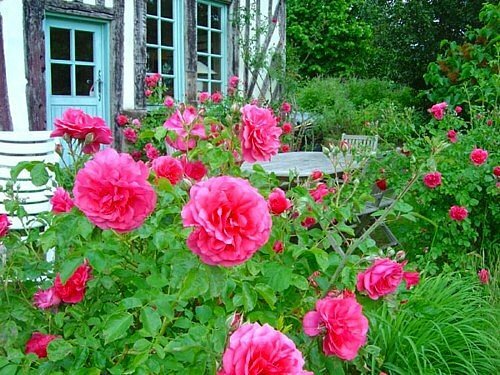 Rose Flower Garden Designs. 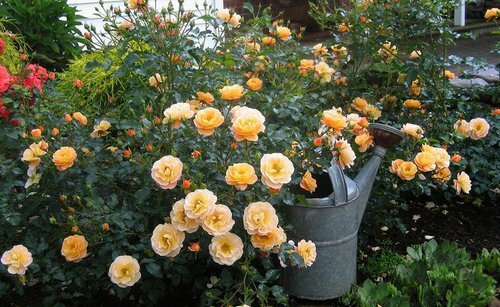 Rose gardens are easy to plant and beautiful to see. In addition to modern roses, include fragrant, old-fashioned varieties of roses whose scent will delight. Plant bulbs in the beds and border them with seasonal flowers to keep the garden full of color during the blooming seasons. 2. Cottage Flower Garden Designs. 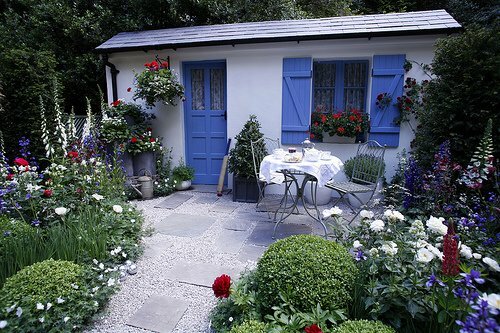 Informal cottage flower gardens have an old-fashioned, rustic look about them. These flower garden designs incorporate the use of flowers, plants and vegetables. 3. Shade Flower Garden Designs. Shade gardens are good flower garden designs for spaces with many trees blocking the sunlight. There are many flowers that do well in shady areas, including impatiens, begonia, azalea, hosta and viola. The lack of leaves on the trees in spring allows spring bulbs to grow, filling the space with color. 4. Wildflower Flower Garden Designs. Wildflower gardens are flower garden designs that feature plants indigenous to the area where the garden is located. These gardens tend to require less pampering than some of the other types listed here, usually not requiring much weeding or amendments to the soil. 5. Butterfly Flower Garden Designs. Butterfly gardens are delightful flower garden designs, planted with flowers known to attract butterflies. 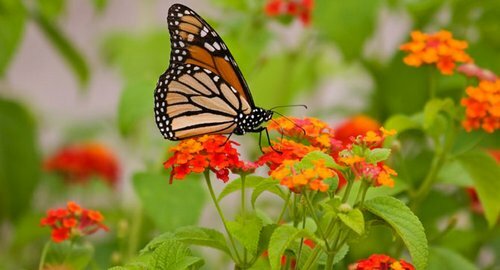 Plants such as marigold, lilac, coreopsis, lavender, black-eyed susan and goldenrod are all good choices for butterfly gardens. 6. Hummingbird Flower Garden Designs. Likewise, hummingbird gardens are a good choice for those who enjoy spotting these small birds. Hummingbirds like richly colored flowers with sweet nectar and a tubular shape. Red and fuschia flowers in particular tend to attract hummingbirds. Some hummingbird garden favorites are morning glory, petunias, azalea, rose of sharon, delphinium and honeysuckle.